Cariant is different from most travel companies. 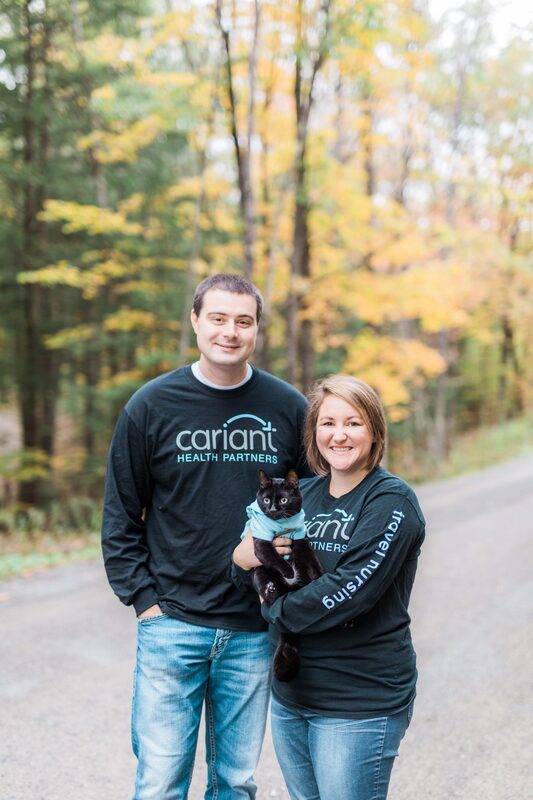 Cariant Health Partners started in 2001 as a sister company to RehabVisions, a contract therapy company founded by Joel Larmore, PT and his wife Sharon, a nurse. Being owned and operated by healthcare professionals, we are familiar with the ever-changing world of healthcare and we understand that patients are your first and foremost priority. You won’t bounce around to multiple recruiters here. The recruiter who helps to find your first travel assignment stays with you for as long as you work for Cariant. This means weekly check-in calls and help getting licensed in new states. They will also assist with the logistics of getting you settled into each new place. They get to know you and your specific needs and wants and are your advocates on the road. Travel therapy or nursing may not be your life-long career, but while you travel with us we want to make sure you’re meeting personal goals, continuing to receive education, and thinking about the future. We’ll consider you a long-term employee, if you’ll consider us. Trust is important to us—and it should be important to you, too. We know you’re putting a big portion of your life in our hands. We work hard to make sure our traveling therapists and nurses are supported, informed and happy. Most importantly, we want you to genuinely trust that we’ll do what we say we’ll do. The Operations Team of our parent company (RehabVisions, which is just upstairs from Cariant Health Partners) consists of therapists, representing physical, occupational and speech therapy. This means we have constant contact with a team of therapists who understand the ins and outs of therapy departments no matter what the setting or discipline. Because of this connection, we’ve become better equipped to handle the challenges that our travelers face, and work with many new therapy graduates.